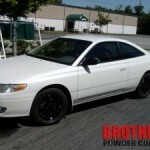 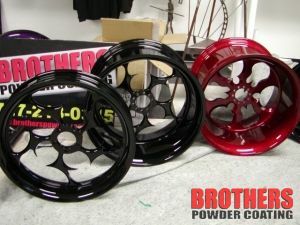 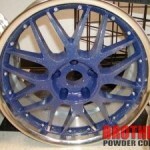 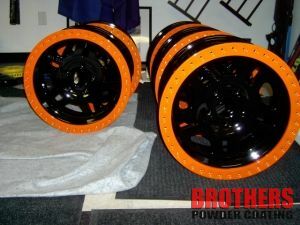 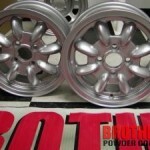 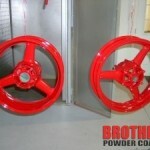 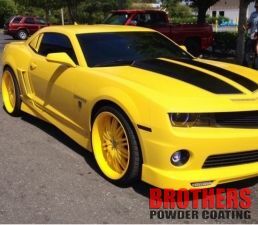 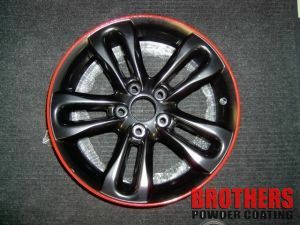 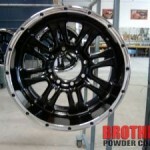 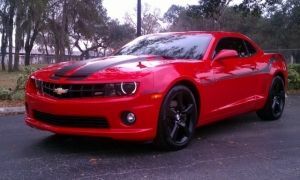 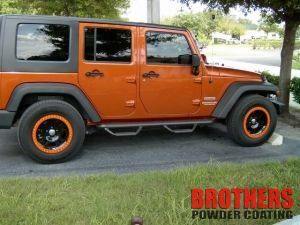 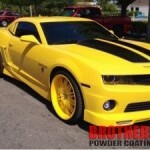 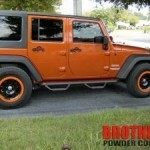 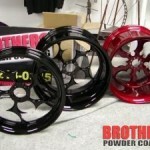 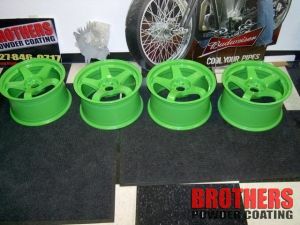 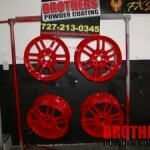 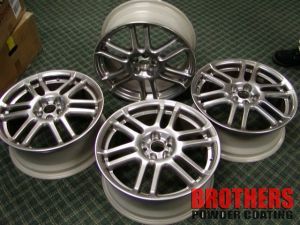 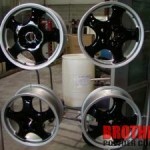 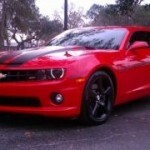 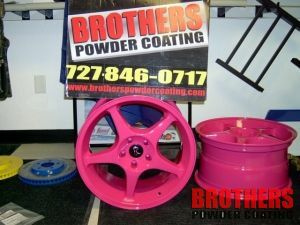 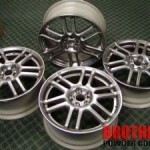 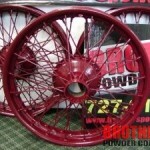 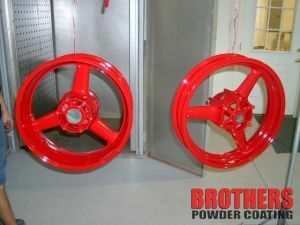 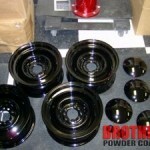 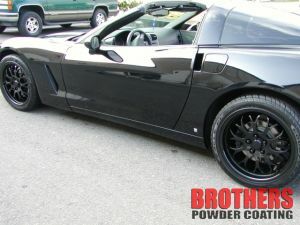 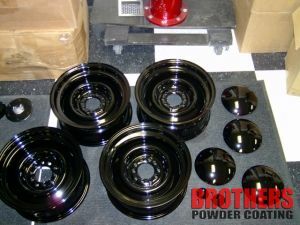 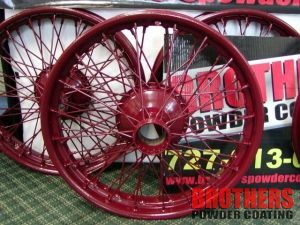 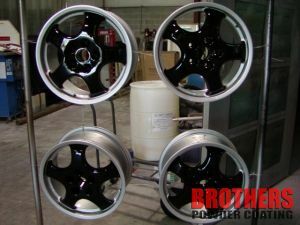 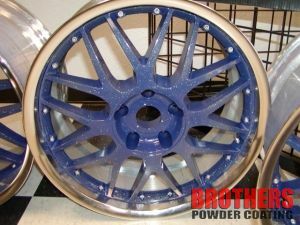 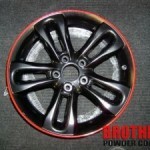 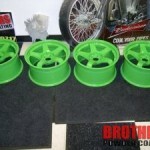 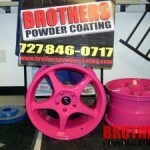 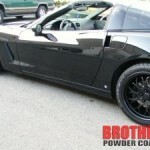 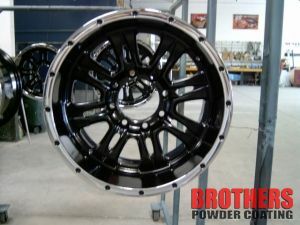 We can put the most amazing finishes with wheel powder coating on just about any wheel manufactured. 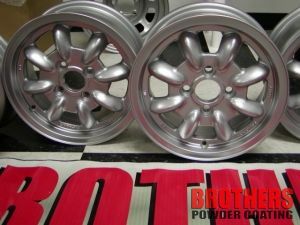 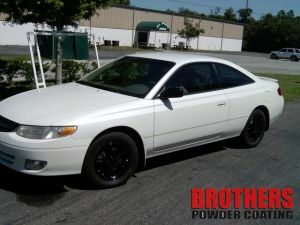 All wheels are sandblasted down to the bare metal, put through the proper chemical wash depending on the substrate, primed with an anti-gassing epoxy hybrid, then the top coat of your choice. 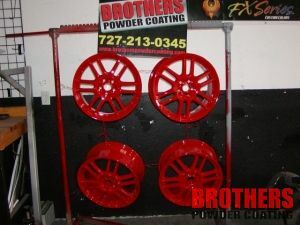 Your custom powder coating colors include the highest gloss single stage powders made, satin or flat finishes, or 2 stage candies, transparents, and some of the wildest metallics out there – whatever you choose.